Beloved University of Puget Sound football coach, Paul “Big Wally” Wallrof has died at the age of 86. Surrounded by his family, in his home on Vashon Island, Paul passed away on August 28, 2018. Paul was born in Seattle, WA on July 10, 1932 to Pete and Ida Wallrof. He is survived by his wife Nancy Wallrof, three daughters, Lisa Blair, Krista Matthew and Jena Langston, younger sister Margie McGinnis-Brown, grandchildren Matthew, Molly, Madison, Paul, David, Katie, Breanna, Jake, Christopher, Benjamin and son-in-laws Richard and Douglas. He is preceded in death by his father and mother Pete and Ida and son-in-law Scott Matthew. Wallrof grew up in the Georgetown neighborhood of Seattle in the 1930s and played tackle for the Cleveland High Eagles in ’48 and ’49. 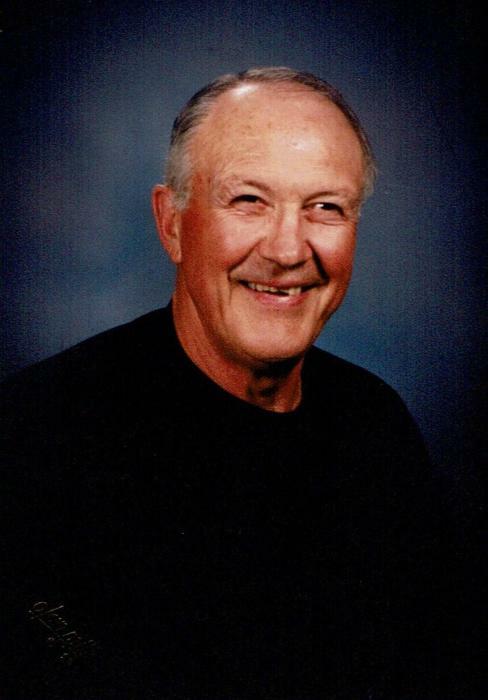 He then played tackle for Everett Community College for two seasons and then enlisted in the Marine Corps and served three years during the Korean War. Coming home, he made the University of Washington Huskies as a walk-on at tackle. Wallrof eventually earned a spot in the starting lineup as a tackle his senior year. That same year, he also won the heart of the love of his life, Nancy, a Vashon girl, and married in 1957. Graduating from UW with a degree in physical education, he returned to Cleveland High, where he coached the Eagles for three seasons. In 1966 Wallrof got a call from the University of Puget Sound looking for a football coach. It was a dream come true for Wallrof. He was a member of the coaching staff for over 30 years. As head coach, the Loggers achieved an impressive 60.8 winning percentage under his leadership and a 31-18-1 record. In 2005, Wallrof was inducted into the Tacoma-Pierce County Sports Hall of Fame, where he was recognized for his outstanding sports accomplishments and contributions to the community that have brought significant local and regional acclaim in the Tacoma-Pierce County area. In 2009, the University of Puget Sound acknowledged Coach Wallrof’s dedication to the football program and inducted him into the Puget Sound Athletics Hall of Fame. Wallrof loved to play golf, fish, dig clams and goeducks and watch his grandson Matthew Overton play NFL football on Sundays. He was an active volunteer with the Diabetes Foundation, Tacoma’s Nativity House. He was the founder of the Tacoma Pierce County Chapter of the National Football Foundation and program director and coach of the Vashon Pirate Youth Football. Wallrof’s love of the game and life taught every player that had the privilege to play for him the value of integrity, the importance of preparation, the necessity of effort and the result of persistence. A funeral mass will be held at St. John Vianney on Vashon Island, Saturday, September 1, 2018 at 11:00am. The rosary will proceed the funeral mass beginning at 10:30 am. Reception will follow in the church hall. Gifts and donations in lieu of flowers should be directed to NFF Paul Wallrof Tac-P.C Chapter, 8912 64th St Ct W, University Place, WA 98467.